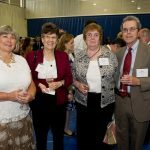 Staff recognition events were held in June for employees reaching service milestones of five, 10, 15 and 20-plus years with the university. 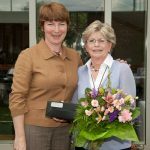 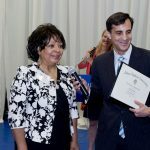 Eligible staff members were contacted in the spring to select their length-of-service awards, which included watches, lapel pins, umbrellas and fleeces. 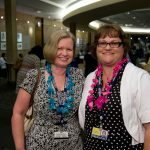 Receptions, coordinated in partnership by individual schools and the Office of Work, Life and Engagement, ranged from “luaus” in Homewood’s Glass Pavilion and the School of Medicine’s Turner Concourse to an outdoor celebration at the School of Nursing to a dinner in Homewood’s Ralph S. O’Connor Recreation Center. 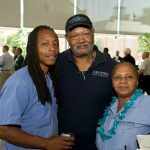 Various members of JHU’s leadership, including President Ron Daniels, showed their appreciation for the collective years of service by attending and delivering remarks at the events. 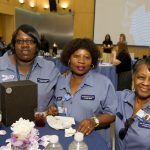 In total, more than 1,600 employees representing more than 20,000 years of service received recognition awards. 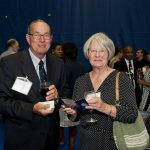 Details about the events follow, and additional photos are posted online at gazette.jhu.edu. 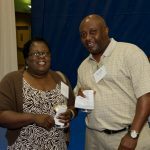 Staff Recognition and Retirement Dinner: University staff celebrating anniversaries of 20 or more years in five-year increments, and those retiring after more than 10 years on the job, were honored at a Staff Recognition and Retirement Dinner held June 7 in Homewood’s Ralph S. O’Connor Recreation Center. 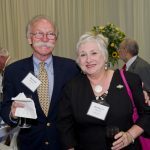 The contributions of 311 employees and 88 retirees were highlighted throughout the evening. 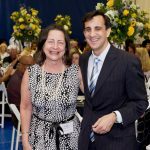 In his opening remarks, President Daniels thanked the staff members and retirees for investing their individual talent, imagination and passion in the success of the entire university community. 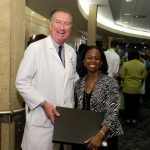 He added that through their contributions, Johns Hopkins today is stronger, more accomplished and more diverse. 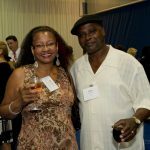 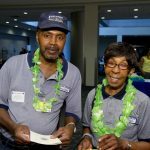 He personally congratulated every employee who was recognized, and surprised the crowd at the end of the evening by awarding one lucky recipient with a cruise for two to Alaska or the Caribbean. 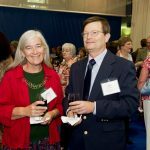 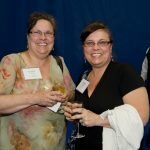 SAIS: SAIS honorees enjoyed hors d’oeuvres and desserts while celebrating their milestone anniversaries on June 9 in the Bernstein-Offit Building. 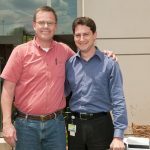 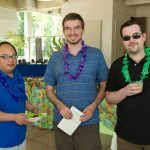 Twenty-two employees participated in the celebration, with nine marking their five-year anniversary; eight, their 10-year; and five, their 15-year. 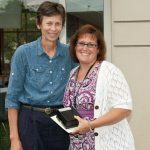 School of Nursing: On a beautiful sunny afternoon, Helen Grady, associate dean for finance and administration, spoke on behalf of Dean Martha Hill and introduced School of Nursing staff members reaching milestone anniversaries. 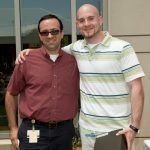 Eight employees with five years of service, four with 10 and two with 15 received awards at this reception, held June 14 in the courtyard. 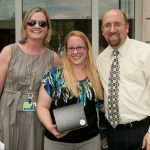 The school added a personal touch by inviting supervisors to deliver remarks about their staff being recognized. 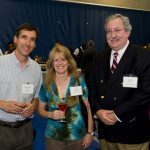 Homewood Recognition Reception (Academic and Cultural Centers, Carey Business School, Homewood Student Affairs, Jhpiego, Krieger School of Arts and Sciences, Peabody Institute, Professional Schools Administration, School of Education, Sheridan Libraries/JHU Museums, Johns Hopkins Club, JHU Press, University Administration, Whiting School of Engineering): Award recipients honored at Homewood donned leis and celebrated with a luau-style buffet and steel drum music as they received awards from leaders of their respective divisions. 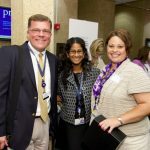 Daniel Ennis, senior vice president for finance and administration, and Charlene Hayes, vice president for human resources, addressed the attendees, saying that Johns Hopkins was a better place thanks to their contributions. 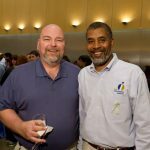 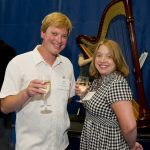 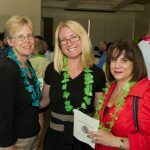 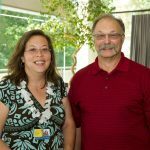 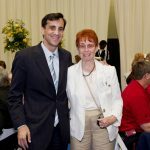 Two hundred employees with five years of service, 144 with 10 years and 71 with 15 years were honored at this event, held June 15 in Homewood’s Glass Pavilion. 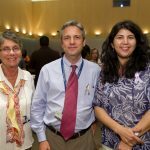 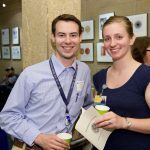 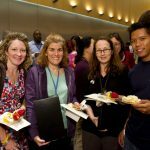 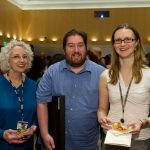 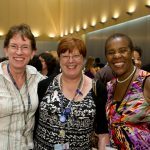 Bloomberg School of Public Health: Attendees at the Bloomberg School’s event, held June 21 in Feinstone Hall, enjoyed a hearty buffet as school leadership handed out recognition awards to 63 staff members with five years of service, 49 with 10 years and 25 with 15 years. 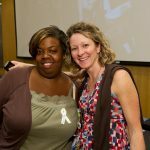 Along with their recognition awards, those celebrating milestone anniversaries were given special ribbons to wear, and their names were projected on a giant screen in acknowledgment of their achievement. 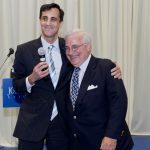 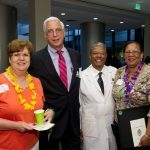 School of Medicine: Edward D. Miller, dean of the School of Medicine and CEO of Johns Hopkins Medicine, thanked those receiving awards at the school’s recognition reception, held June 27 in Turner Concourse. 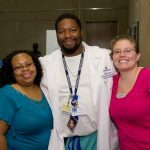 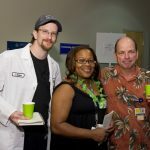 Miller cited the dedication of the employees being recognized as the reason that Johns Hopkins continues to be the “best of the best” in patient health care. 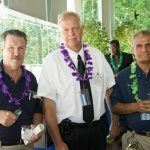 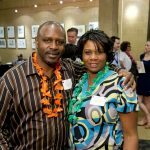 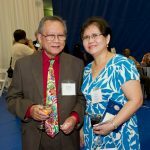 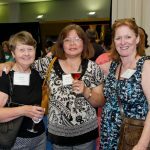 During this year’s Hawaiian-themed reception, more than 650 staff members were eligible to be recognized—331 with five years of service, 233 with 10 years and 87 with 15 years. 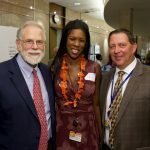 On hand to present service awards to their respective staffs were chairs and supervisors from 32 departments and offices, ranging from the Clinical Practice Association to Urology.